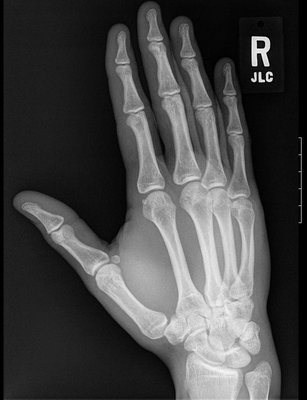 In an example that a similar injury can have profoundly different consequences for different people depending on their chosen profession, last year a Vancouver Jury awarded professional boxer Jegbefumere ‘Bone’ Albert just over $1,000,000 following a traumatic hand injury caused in a motor vehicle collision which negatively impacted his boxing career. He was a professional cruiser weight at the time with a 4-0 professional record and a 251-3 amateur record. The collision caused a chronic hand injury which flared with training/fighting. The Jury accepted this impacted him in his chosen profession and awarded substantial damages for diminished earning capacity. This brings us to the assessment of damages itself. The appellants say that each of the heads of damages assessed is wholly out of proportion to the evidence before the Court. Damages are a question of fact and we may interfere with the quantum, absent an error of law or principle, only if there is a palpable and overriding error. I deal with the loss of earning capacity first. I conclude, from the fact the jury awarded a significant sum, that the jury rejected the appellants’ submission that Mr. Albert would have withdrawn from a boxing career, soon after the accident, in any event. Clearly Mr. Albert had boxing ability. The jury must have considered that his boxing ability was diminished as the result of the injuries from the accident. It is true that Mr. Albert did not earn very much money from boxing prior to the accident. It is also true that there was not a great deal of evidence about the size of the purses available in professional boxing. Nonetheless there was some evidence. Witnesses from the world of boxing did testify to some extent as to the purses won in certain matches, particularly in Canada. There was evidence, therefore, before the jury from which they could conclude that Mr. Albert had the skills to fight for, and win, purses in the time between the accident and the trial, amounting to $60,000. The period of past loss is close to four years. The sum awarded is well within the range of the purses that were discussed in the evidence as available, in Canada, over that period of time. Given the positive evidence as to Mr. Albert’s abilities, one cannot say the award of $60,000 for past income loss is unsupported by the evidence, disproportionate, or wholly erroneous. I have come to the same conclusion in respect to the award for future loss. That sum may be a small portion of what Mr. Albert otherwise would have earned, or it may be more than he would have earned. We do not know. There was, however, evidence of his considerable abilities and evidence of the purses available in the boxing world, even in Canada, that would support an award of $838,000. I would not interfere with the award for future loss of earnings. I‘d like to thank Vancouver lawyer John Cameron for sharing this development with me for publication.